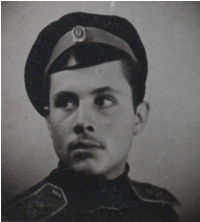 George (Yuri) Iliodorovich Schidlovsky was born in 1927, as a son of Russian emigrants Iliodor Nikolaievich Schidlovsky and Baroness Ksenia Yurievna Meyendorff, in Kenitra, Morocco. His parents and family suffered great material and moral losses as they were brutally forced to leave Russia in the wake the Soviet Bolshevik revolution. Having fled west his remaining family settled temporarily in Morocco, which at the time was a French protectorate. When he was only 18 months old, his father tragically died in a car accident, and Yuri’s mother Ksenia took him and his younger sister Maria to Paris in search of work. In 1941 during the German occupation he entered the Cadet Corps in Versailles named after Emperor Nicholas II. He successfully completed his basic education there acquiring the seeds for the patriotic outlook of his subsequent life’s activity. In later years Yuri would say that no other experience influenced his life more than the spirit of camaraderie found during his childhood amongst his fellow cadets who became lifetime friends. Schidlovsky carried his love for Russia and a burning desire to serve it throughout his entire life. His instructors, who were former Russian military officers, carefully preserved traditions of pre-revolutionary Russian military education, teaching a wide range of subjects and instilling in their students an ardent love for their Russian heritage and Orthodox faith. Yuri Schidlovsky carried his love for Russia and a burning desire to serve it throughout his entire life. He assisted many people living in Russia materially and spiritually, dedicating and donating endless hours of time. He always maintained a clear awareness of current events, staying on top of the latest news, and working tirelessly for the benefit of the Russian Orthodox Church Outside of Russia. After a year of pre-medical school in Paris he immigrated to the USA in 1947 where he continued his studies. In 1951 he was drafted into the U.S. Army 82nd Airborne Division to fight in the Korean War where he served for two years in the medical division, and was later decorated with a Medal for Outstanding Service. After Honorable Discharge from military service in 1953 he married Princess Sophie Konstantinovna Engalichev, who survives him. Mrs. Schidlovsky would be his closest friend and companion for life, until his last days. Together, they enjoyed a large family together, consisting of five sons, one daughter and 14 grandchildren. George and Sophie Schidlovsky on their wedding dayIn 1954 Mr. Schidlovsky graduated from the New York University with a degree in microbiology. He made many contributions to different fields in biology and medicine and wrote countless scientific reports on leading developments in cancer research. As one of the world’s pioneers in electron microscopy, he delved into the mysteries of biological cell and tissue structures. 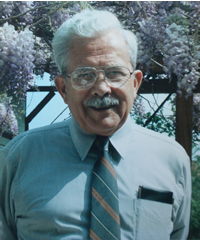 His prosperous career as a scientist took him to work at the Brookhaven National Laboratory in Long Island, National Cancer Institute, Rockefeller Institute and Pfizer & Co. He always said that he never went to work without a feeling of deep pleasure and gratitude for it. After his official retirement as a scientist in 1992 his activity did not stop. In 1997 Mr. Schidlovsky became the third president of the Fund for Assistance to the Russian Orthodox Church Outside of Russia based in Manhattan. It is to him that the FFA owes its reputation for supreme accountability, organizational dedication, and worldwide outreach. Through his diligence and persistence he expanded the number of donors, he transferred all FFA work from paper to a computer database and made the fund a global organization that assisted ROCOR members everywhere. Mr. Schidlovsky would do most of this work from the large basement of his Glen Head home. “Yuri’s kingdom,” as his widow calls the basement, serves as a testimony to his two passions: Russia and its Orthodox faith. “For him, Orthodoxy and Russia were inseparable,” said Mrs. Schidlovsky. The long walls are lined with shelves upon shelves of books and periodicals on Russian history, theology, and culture. His worktable is still piled with the papers he worked on in the last days of his life. Here along with his wife and a group of dedicated volunteers he would spend days upon days working for the good of the culture and faith that meant everything to him. These calendars became the Fund’s trademark around the Russian Orthodox world. Every year, Mr. Schidlovsky would send tens of thousands of calendars to Russian Orthodox believers throughout Russia, Europe, and Australia, spreading the word about the Fund, its activity, and charitable objectives. The countless gifts received were always answered personally by Mr. Schidlovsky. In 2007 Mr. Schidlovsky was decorated with the Russian Synod Cathedral Medal of the Second Degree for his tireless efforts on behalf of the Church. Even though progressing illness forced him to retire in 2008, he kept up with the Fund’s activities until the end. FFA wasn’t his only passion. In 1999 Mr. Schidlovsky became the administrator of the Cadet periodical Kadetskaya Pereklichka, published by the Association of Russian Cadets Graduated Outside of Russia. The publication was a valuable chronicle of the Cadet Corps, but also served as a reflection of the thoughts, hopes and ideas of the White Russian Immigration. Yuri was instrumental in assisting the new generation of cadets in Russia to take over the management and publication of the Kadetskaya Pereklichka by the Russian cadets in Russia. A long-time volunteer president of the Fund for Assistance to the Russian Orthodox Church Outside of Russia, Mr. Schidlovsky dedicated many years to charity and service to the Orthodox Church. He will be remembered as a gifted leader, talented scientist, wonderful father, trusted friend, a true Russian Orthodox believer and patriot. George (Yuri) Iliodorovich Schidlovsky was buried with U.S. military honors in the cadet section of the New Diveyevo monastery cemetery in Spring Valley, NY. Memorial donations may be made to the Fund for Assistance of the ROCOR. Proceeds will benefit many needy members of the Russian Orthodox community around the world.